Being a new homeowner comes with a lot of challenges. You are in an unfamiliar home, and there is a lot of adjustments to get used to. While you are quickly becoming an expert at packing, you may be new to everything that comes along with transitioning into a new home. Whether this is your first or fifth move, these tips are still highly valuable for any new homeowner. 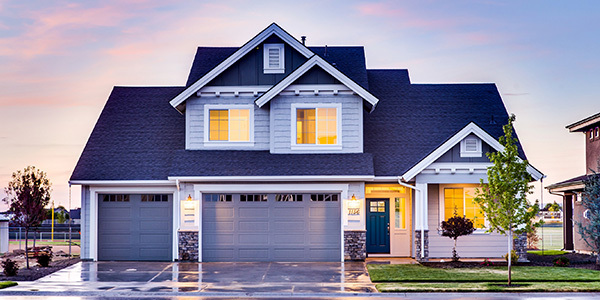 Make sure to complete every item on this new homeowner checklist to ensure your new home is safe, clean, and stress-free! Start off on the right foot in your new home by cleaning every single nook and cranny. You want to move into a home you’re proud of, and a clean home is a great way to start. Either arrange for a cleaning company to clean your new home before you arrive or do it yourself. Make sure to schedule enough time to clean before the moving truck gets there. Pack a cleaning kit separate from your things to clean up any small messes you make while moving in. Your house doesn’t need to have an infestation to call an exterminator. In fact, you should schedule one to check your home every so often to perform preventative pest control and catch any pest issues you weren’t aware of. You likely don’t know how often the owners before you had their home inspected, so this is a crucial step before moving in. You may trust the previous owners of your house, but there’s really no way of knowing how many other house keys are out there. Most people give spare keys to family and friends in case of a lockout or emergency, so depending on how many previous homeowners there have been, there’s likely a lot of keys floating around. It’s worth your safety and peace-of-mind to invest in a new hardware set. Get a few extra copies of your keys to give to trusted friends and family. Your loved ones are probably aware you are moving to a new place, but have you let your credit card company know? Make sure to notify your bank, credit card company, lenders, and insurance companies of your move. You may also want to change your default address on frequented online shopping sites like Amazon. If you are still worried about missing a bill, sign up for auto pay. 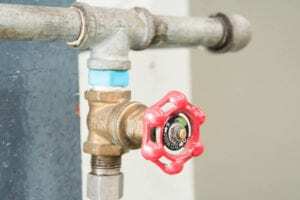 Make sure everyone in your home knows where the shutoff valves are located. Start with the smaller valves. Check for water valves behind toilets and under sinks, as well as gas valves near your stove or dryer. Next, and most importantly, identify your main shutoff valves. The first place you should look is in your basement, toward the front of your home. Knowing where they are will save you from hundreds of dollars of repair from water damage caused by a burst pipe. You should also locate your circuit breaker. Familiarize yourself with each switch and what it turns off. For easy use, color code each switch and put a key on the back of the door to the breaker. This way, if someone other than you needs to use it, they will know exactly what to do. Water damage happens slowly over time and can cause built-up pressure, causing your foundation to crack and leak. Keep downspouts at least 5 feet away from your property to make sure that the water does not find its way into your basement. If you want to be environmentally friendly, you may invest in a rain barrel, which captures your rainwater and allows you to reuse for tasks like watering your garden. As you move into your new home, you’ll be excited and tempted to start hanging up pictures and décor to make it feel like home. You should be careful, though, as pipes, wires, and ductwork are all hidden behind your walls. 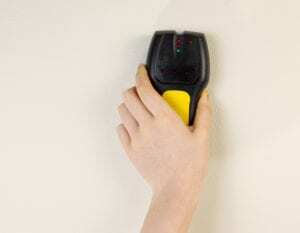 Invest in a stud finder to help avoid accidentally drilling into something critical. If you are still uncertain, try to avoid drilling any deeper than 1″ into your walls. Typically, things like ductwork or wires will be hidden deeper, so they will be unaffected by this. Be proactive and plan ahead for emergencies. Start by compiling a list of important numbers like poison control and your local police station. Then, move onto less crucial numbers like plumbers, electricians, and other handymen. If you are new to the area, ask around and see if your neighbors have any go-to people they would suggest. If not, ask in local Facebook groups or check out trusted sites like Angie’s List for top-rated contractors in your area. Keep this list somewhere visible for babysitters, or in case something goes wrong and you need a number quickly. Once you have completed item number eight, you have officially done everything on your new homeowner checklist! We hope you enjoy your new home, and that our tips help you as you transition into this new chapter of your life. For more tips on moving and enjoying your home, check out our blog.